In today’s cyber climate one has to be primed to stay on top of Google’s latest trends in order to remain visible to customers. No matter what your commercial venture involves, if you desire to do business online (and you must!) an outstanding online presence is #1. Let’s take a glimpse into the top 5 SEO trends that matter the most for your business in 2019. No doubt about it. Content will always be King but you better step up your Mobile game. Googlebot uses the mobile – not the desktop – version of your site for indexing and ranking to help internauts find what they are looking for. More than 50% of them use mobile devices. No wonder that Google decided to prioritize mobile users experience over desktop by releasing in March of 2018 the mobile first indexing update. As explained by Google: “Mobile first indexing means that Googlebot will now use the mobile version of your site for indexing and ranking, to better help our (primarily mobile) users find what they’re looking for”. What does this mobile-first indexing mean for your business? It means, Google isn’t playing around. In July Google officially confirmed that mobile site speed has now been added to how they put together mobile search rankings. Given the assumption that mobile users are on the move and need answers in a hurry then the slowest performing pages will be penalized when producing search results. Forget about infographics and photos! Virtual reality content will be the social sharing bait of the future. Due to its ability to be repurposed as online video content or engaging graphics, VR will allow you to reach a wider consumer audience base. Fresh and creative VR content will generate more traffic and backlinks to your website, increasing your domain authority and search engine ranking. Content strategies are already heavily loaded with video so it’s only a matter of time before they push that technology even further in order to start presenting information in more exciting ways to help the consumer. In fact, the best is yet to come. Voice-optimized websites will start to flourish more as Google puts greater emphasis on voice queries. Optimizing for voice phrases in your content will become the new norm. Page Speed, Mobile Optimization and HTTPS will become even more of a ranking factor and websites that ignore or take these issues lightly will suffer. Optimized Product Descriptions as Amazon is steering the helm at doing just as you’re reading this, will still be the defining factor in the struggle to fight for Organic Traffic. Online video popularity is still growing and keeps viewers more engaged than any other form of content in this generation. It’s pretty simple, the more engaging the video is, the longer the user remains at your site, which helps you rank higher on Google. Prepare impressive, interesting, not too long, educational or/and inspiring but still engaging enough video content for your users with a call to action. Quality useful content is still everything. Backlinks used to be everything. But Google learned that like keyword stuffing in the early days of SEO, backlinks could be manipulated to gain traffic. 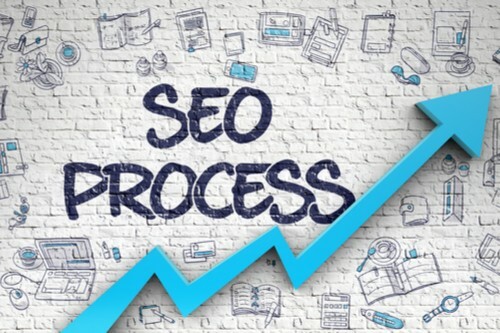 Methods like paying for backlinks, exchanging backlinks, and manipulating backlinks via personal blogs, caused Google to realize there are other, better metrics that measure the strength and popularity of a site. The time a user spends on your site, the click through rate and bounce rate shows you how valuable your site really is to them and to Google. The real meaning behind it all is; provide actual value to the user. This is done through publishing genuinely amazing content that solves problems the user sought out to answer while browsing the internet. After all, no one wants to waste their time with clickbait and impersonal keywords any longer. At Bullseye we on top of all the latest SEO trends. Call us today for all your marketing needs to stay ahead of the competition.